Lise's Log Cabin Life: Happy Fall Equinox! ...not being at the cabin welcoming Fall, I'm happy being here on the river...can't wait for a moon dance with Jessi this upcoming weekend! I'm keeping this post brief because I've been driving since 3:35am and have lots of tidying up to do...Happy Fall Equinox to you! Glad you had a safe trip...enjoy your stay on the river. Hugs! I found your blog on Susie Swanson's site, "Country Side Poet." 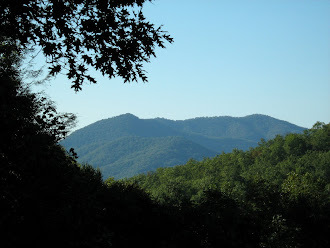 You have great blog and I'm glad you are happy living in your mountain cabin. Sounds like a great place to live. Thanks Susie, it's been a great visit so far. Pesto is really delicious...you can use it in pasta, on bread, as dressing when thinned a little with oil and vinegar...the opportunities are endless:) Hugs to you too! Thanks so much Brenda, we love our cabin living.